If you are new to trading, or would like to test your ideas out before risking real money, then this feature will pay for itself almost immediately. It allows you to simulate real time conditions on past history. 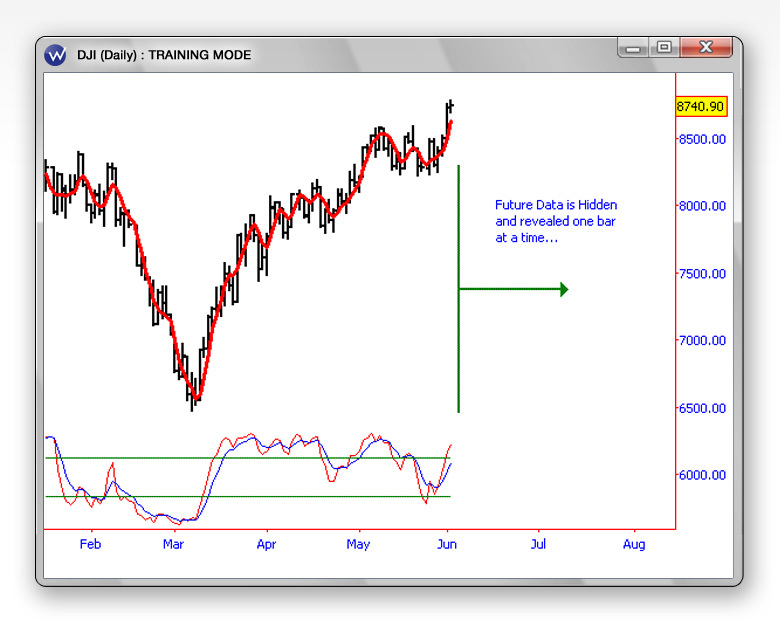 Load up your chart, apply the indicators you�d like to explore and start the training mode. Each time you press the space key, a new bar of history will be revealed. 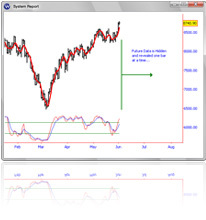 This feature will allow you to work through charts quickly, gaining weeks of trading experience in only a few short hours of practice!